Once known as Faifo - a major port of the South East Asia in the 16th and 17th, Hoi An is a city in Quang Nam province on the South Central Coast of Vietnam. Setting on the banks of the Thu Bon river, about 30 km south of Danang, Hoi An is regarded as an 'Eastern Oriental classic captivation'. The Ancient town or the Old town of Hoi An preserves the original looks dating from its earliest days. Most of buildings and streets in the town reflect the indigenous and foreign influences imposed on this unique World Heritage Site. During the entire of year, the weather of Hoi An is comparatively warm which helps tourists fully enjoy their holiday here. Actually, the city used to be a busy port called Lam Ap Fo of the Champa Kingdom in the 1st century and flourished more than ever since Western traders explored it. Lying on the banks of the Thu Bon River, the Ancient town of Hoi An has a distinguishing Chinese-style with low, tile-roofed houses made of rare wood and decorated with lacquered boards. To preserve the distinctive appearance of the Old Town, the local authorities have closed the streets to cars and trucks. They also have made it inaccessible to motorbike at selected times, leaving the Old Town a wonderful ancient world. In and around the old streets, there is an abundance of things to do. On your foot, or spend less than $5 on an official tour, go for a sightseeing in this photographer’s dream land is a great experience. The combination of the old and the new, the mix of ancient architecture and daily life of the local may be a fertile source of inspiration for photographers. The well-preserved Old Town is also a lovely gift for historians to explore: it is an ideal place of historically classical meaning and image. They should not miss the town's traditional houses, pagodas, halls and museums like Duc An House, Tan Ky House and Tran Family Chapel. The design of the house reflects how the local architect influenced by Chinese and Japanese style. Especially, the iconic Japanese Bridge on the west end of Tran Phu Street represents the old architecture combined between Japanese and Vietnamese of Hoi An. On the 14th and 15th of each lunar month, Hoi An gets rid of her quiet atmosphere and burns herself for several traditional and exciting games as Bai Choi, Trong Qua, Dap Nieu. At the same time, the "Lantern festival", held on the 15th - the night of full moon, colors Hoi An with colorful hanging cloth and paper lanterns along every lane. It creates a sparking and mysteriously romantic scene of this old town. Besides, the Cham ruins at My Son with spectacular setting are great for those want to discover Cham's Ancient Kingdom. In the summer, the beaches of Cua Dai are perfect while cycling around the waving rice paddies of Cam Kim Island is great fun. Hoi An is one of the best place of Vietnam having an excellent cuisine and it also a good place to do a cooking class there. You can cook and enjoy your dish yourself. Otherwise, you always have the local foods severed at a plenty of places. You need to make sure that you have eaten Cao Lau noodle, a delicious and light noodle with pork and dough fritters and lot of fresh herbs. It is the main claim for the cuisine of Hoi An, plentiful and particularly tasty. Other famous regional dishes that should not be missed are My Quang and Com ga. Recently, Hoi An is famous for being shopping paradise selling wonderful souvenirs, handicrafts, antique pieces, etc. If you want, it is always possible to have a tailored Vietnamese traditional cloth made by the famous dress-maker. 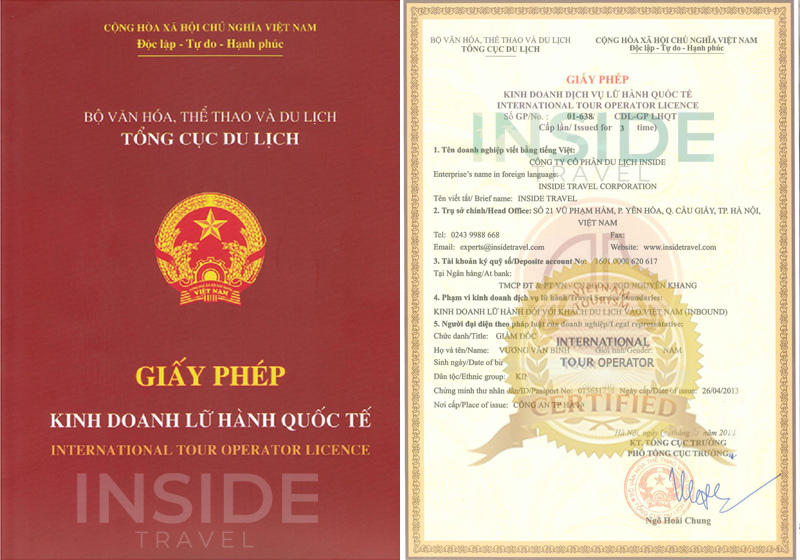 Come to see and explore the charm of Hoi An yourselves, you have an invaluable chance to take a life-time memorable journey of culture discovery.